Fall Picture Book Favorites Giveaway Winners! 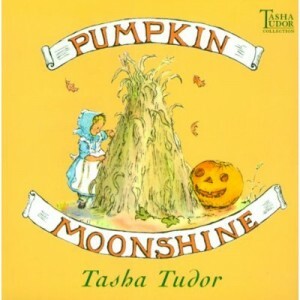 Thanks again to everyone who made my Fall Picture Book Favorites series here on Sensibility and Sense a success! And keep visiting Sensibility and Sense for more great writer tips, encouragement, resources and giveaways! Sensiblity- Picture books hold our memories between the covers and inside the pages. Sense- Add to your collection of picture books regularly to keep up with new trends and hone your picture-book writing skills. Meet Pat Zietlow Miller! Fall Picture Book Favorites Grand Finale and Giveaway! Today’s favorite fall picture book Grand Finale is one of my all-time favorites, SOPHIE’S SQUASH, by Pat Zietlow Miller, Illustrated by Anne Wilsdorf (Schwartz & Wade, 2013). A fun-loving, gentle lesson in love, loss and renewal that comes wrapped up in an unlikely package– a butternut squash. When Sophie goes to the farmer’s market with her parents and sees Bernice, a beautiful butternut squash, for the first time, Sophie knows that Bernice is just right for holding, rocking, and loving. But when her mother suggests they do something different with Bernice, Sophie proves that even a squash can be reborn with just the right amount of tender, loving care! And here to help us learn more about this perfect picture book is the author herself, Pat Zietlow Miller! Welcome to Sensibiliy and Sense Pat. I am so honored you stopped by to talk about SOPHIE’S SQUASH and your writing process. And to further celebrate the season, I’m offering an amazing give-away at the end of this post, so be sure and keep reading! Now then Pat, let’s get right down to it and talk about some of the things that make SOPHIE’S SQUASH so great! PR: I understand the idea for the book came from your own daughter and her love of squash. How important is it for writers, especially children’s writers, to draw from our own experiences to create stories that work? PZM: I think almost everything someone writes comes from his or her own experiences, at least a little bit. Even if you add and expand and stretch that experience so it’s largely unrecognizable, there’s some seed you noticed or heard or read that stuck with you and inspired you. I think that’s something that sets writers apart. They notice things. They see the odd, the funny and the overlooked. So when they start to write, they have this wealth of information to be inspired by. And if I do say so myself, my youngest daughter is hilarious. She has a very dry sense of humor and a very well-developed sense of what she thinks is right and wrong. She is a writing gold mine. PR: We hear a great deal in the kidlit industry about writing character-driven books. Meaning great characters that children can identify with and will keep them coming back to their favorite stories over and over. What part of Sophie’s character do you think readers identify with the most and why? PZM: One of the best things about Sophie is her absolute, unwavering faith in Bernice. She knows she loves Bernice. She knows Bernice loves her back. She knows Bernice will last forever, and no logical arguments from her parents will convince her otherwise. I think children appreciate that level of commitment – especially because Sophie turns out to be right. PR: Letting go of something you love is a pretty serious subject for young readers. Your use of humor not only provided many chuckle moments, but it also helps lighten an otherwise heavy topic. Did you include humor in your first drafts, or did you see the need for it during your process and add it in at just the right moments? PZM: I had humor in this story from the get go. There were just too many places where it had to go. I actually added even more humor as I revised because I thought it was such an integral part of the story. One of my favorite things is seeing which lines get the most laughs when I read the book out loud. Kids and adults tend to laugh in different places. PR: I love how you used vegetable names, like “sweet pea,” and “sugar beet,” for Sophie when her parents were trying to convince her to do something different with Bernice. How important do you think these types of nuances are in creating a stellar picture book like Sophie’s Squash? PZM: Little touches like that are what set books apart. And I have to give credit for this touch to my editor, Anne Schwartz. I had used “sweet pea” in my initial manuscript, and Anne suggested that I add a few more similar, vegetable-driven endearments. So “sugar beet” made an appearance. And in the sequel, SOPHIE’S SEEDS (coming in 2016), there are new ones that took at bit of pondering and searching. Hopefully, they will be just as funny. 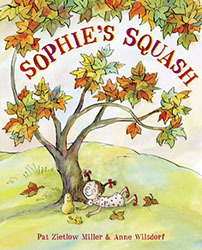 PR: Just a few years ago, Sophie’s Squash might have been considered a little “quiet” for the current book market. Do you think things have changed a bit and that there is more room for stories that celebrate childhood, love, loss and other very real experiences in simple ways? PZM: Oh, I certainly hope so. When I started submitting SOPHIE’S SQUASH, I did hear that it was too quiet quite a few times, which always made me sad. But Schwartz & Wade never thought it was too quiet, and their support of the book helped it do as well as it has. I tend to write books that are more on the quiet and thoughtful side, but those books can still have a hook and succeed commercially. 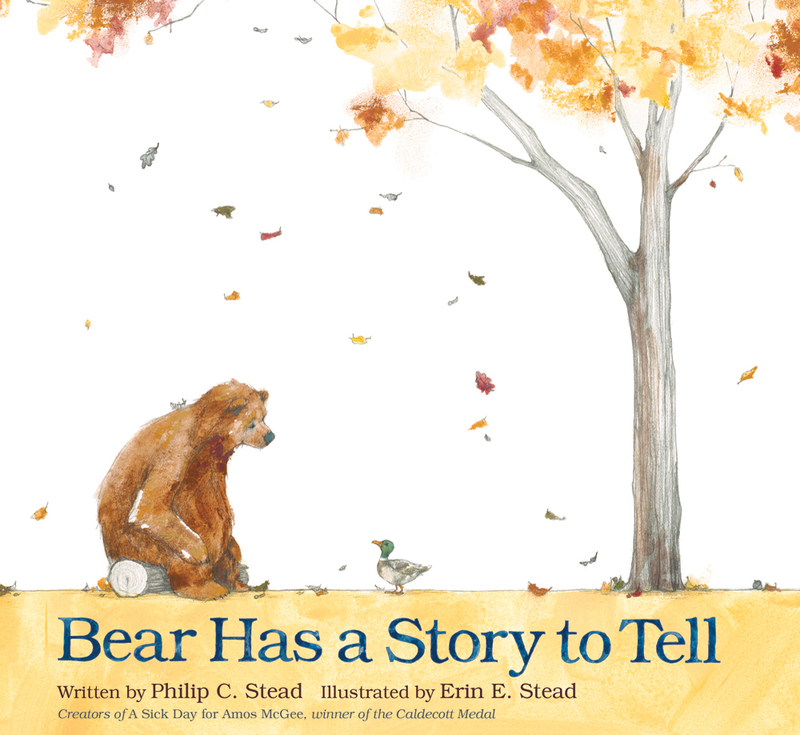 PR: In each of my fall picture book favorites, I’ve pointed out to my readers the importance of setting up the story in the first few lines of text. You do this so beautifully in Sophie’s Squash, plus you provide a great first-page-turn line that makes readers want to hear the rest of the story right away. In your opinion, how important are these first few lines and page-turn moments when crafting a picture book? PZM: It’s so important. I’m so impressed with picture books that can effectively introduce the character and present the problem he or she has in a few brief, engaging lines. (ZOMBIE IN LOVE by Kelly DiPucchio does this exceptionally well. I wrote about it here.) And it can take quite a few tries to get those opening lines right. But if you keep paring down your story to what’s essential, you can do it. PR: If you don’t mind, tell us a little bit about your writer journey. What got you started and was Sophie’s Squash the first book you ever wrote? PZM: The first story I ever wrote was when I was 19 years old. It was called I WISH I HAD A LION. I didn’t know what to do with it when I was done, but I had fun writing it. When I started seriously writing for children many years later, I wrote several stories before SOPHIE, but SOPHIE was the one that got the most attention, even before it sold. So I was always hopeful that it would sell eventually. PR: I’m excited to hear about your upcoming picture book, Wherever You Go! (May 5, 2015) that is now available for pre-order! Can you give us a little sneak peek into what we can expect? PR: Finally, I like to leave my readers with two take-aways from each blog post…a little Sensibility and Sense for the writer journey. What Sensibility and Sense would you like to leave with our guests today? Sensibility- When I need inspiration, I read Kevin Henkes, Mem Fox and Judith Viorst and lose myself in their wonderful, wonderful words. Thanks so much Pat! It’s been great getting to know more about you and your work.